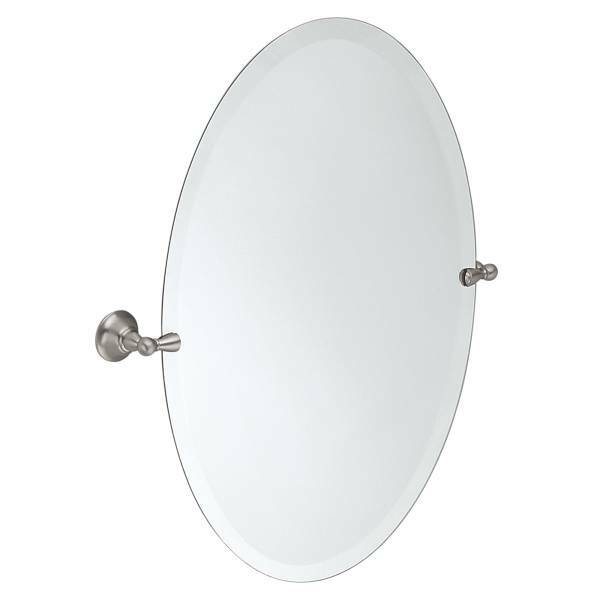 So I'm remodeling my half bath and I want to install this mirror. Unfortunately, Moen's site doesn't tell me how heavy the mirror is so I weighed it using my weight scale (I know, not very scientific! ), like the kind you see in hospitals. The total weight of the mirror, still in the box, with all of the hardware is just shy of 10 lbs. The problem is that the two points where the supports are screwed into the wall are not over studs. I cannot put in another stud as there is a sewer exhaust on one side (directly behind the one touch point) and there are horizontal pieces of 2x3 up and down the other side for support. As an aside, yes, my house was framed in 2x3s. I guess that was standard in the 70s? So, my first idea was just to throw up some furring strips (1x3s). But I'm worried about the load. The strips would span 3 studs (the left, middle, and right so to speak) and each is about 12" apart. I'd put a few screws in to secure the strips to the 2x3s. Do you think that is sufficient? Hm, wouldn't furring strips look odd? Why not use heavy duty wall anchors (10 lbs. is not a lot, but just to be safe since it's a glass mirror) or toggle bolts? You could hide those behind the mounting hardware. My guess is yes, but make sure you use wood screws - coarse thread and make sure they penetrate the strips fully. Don't skimp. Not the answer you're looking for? Browse other questions tagged bathroom load-bearing mirror or ask your own question. How can I clean calcium deposits off my mirror? can I use 1/4“ J Channel to mount 3/16” thick mirror?